Orientate yourself in Auckland, the "City of Sails", playing Titirangi or Gulf Harbour plus a day long wine tour of Waiheke Island. Travel south to the Central Lake Taupo volcanic region to play The Kinloch Club, a Jack Nicklaus Signature course and Wairakei Golf + Sanctuary, one of the world's most unique golf courses. Journey eastwards to the sunny wine region of Hawkes Bay, playing and staying at Cape Kidnappers. Complete the tour with a spectacular winery tour including a dramatic scenic flight over the region. 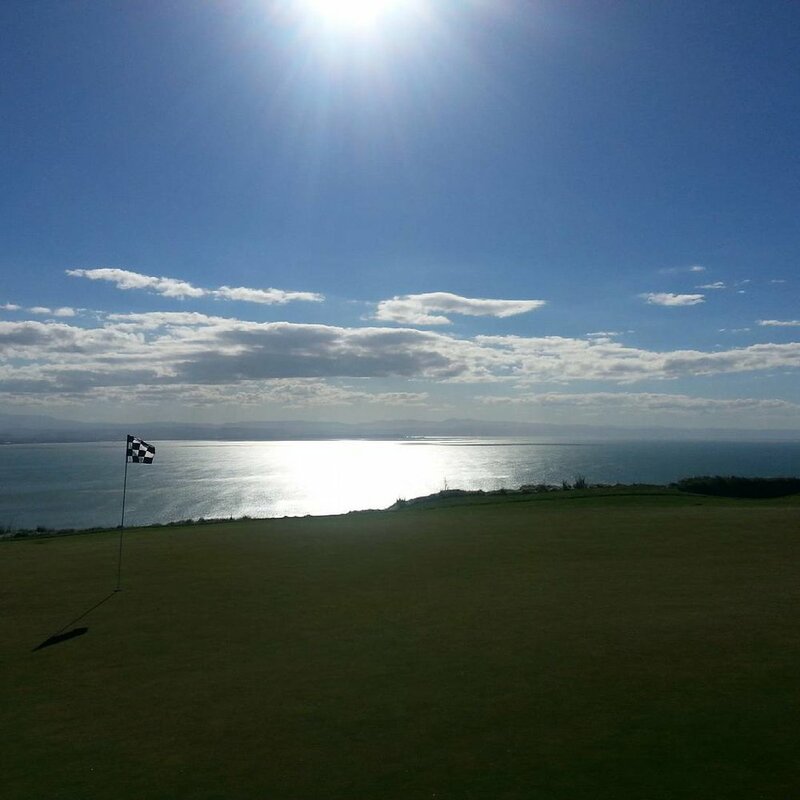 The view from cape kidnappers golf course! Cape Kidnappers, Hawke's Bay, New Zealand. A stunning golf course designed by Tom Doak. Often considered to be the ultimate bucket list course and one of the very best golf courses in the world. Video is produced by International photographer Jacob Sjoman. Premium Golf NZ Goodies bag including New Zealand wine, chocolate, vouchers, golf tees, balls, markers, a tour shirt and a cap! Mystery "bonus" also included! All day Winery Tour with scenic flight - includes gourmet platter and complimentary bottle of wine to take with you! Enquire for price as groups with more than 8 will receive a 10% discount. Luxury van is a Mercedes-Benz Sprinter with air conditioning and large passenger windows to enjoy the New Zealand natural scenery! Comes with trailer for golf clubs and luggage. You might even see a hobbit playing golf! Helicopter option is for four persons max, small luggage and thin golf bags. Check out our Fly, Play & Stay tour for example of this helicopter option. This tour can be customised to include other marquee golf courses, sightseeing activities or other desired locations. Looking for something less expensive - enquire for 4/5 star hotel options. Enquire today to let us curate your personalised premium golf tour. Request a sample itinerary of this premium golf tour, including additional sightseeing activities. Tour available all year round (except during coring - course dependent) but best to book well in advance. Titirangi, meaning ”Fringe of Heaven" is New Zealand's only Dr Alister MacKenzie designed course. A walking course, this innercity golfing delight is a must play for all purist golfers. Tradition and heritage blend seamlessly into the serene peaceful course settings. 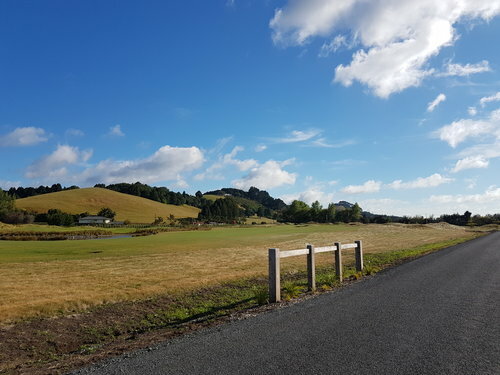 Windross Farm, located in southeast Auckland, is an inland links style course that hosted New Zealand's inaugural LPGA event, the McKayson New Zealand Womens Open. 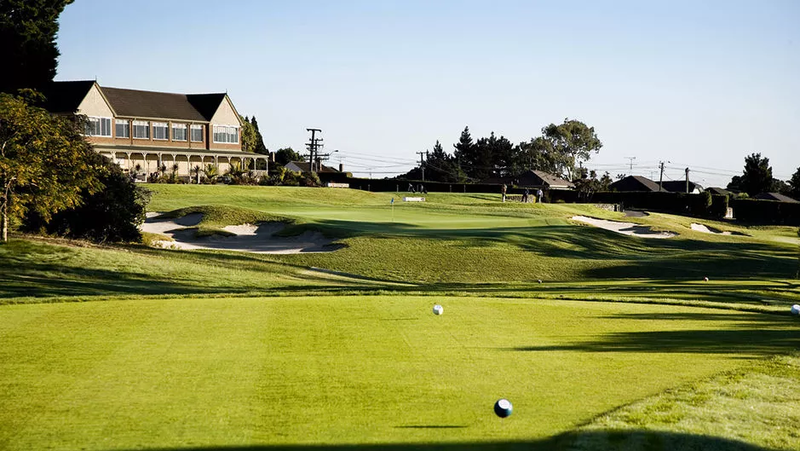 Spread over lush green countryside, this rural golf setting is peaceful, tranquil and the undulating nature of the holes makes this course a pleasure to walk and play. The Kinloch Club is a Jack Nicklaus Signature course located in Taupo. This undulating inland links style championship golf course with views across Lake Taupo is a must play for the golfing traveller. There is no one particular signature hole, rather eighteen holes of golfing excellence. The lodge at The Kinloch Club is award winning. Wairakei Golf + Sanctuary is one of New Zealand's, if not the world's, most unique golf courses where 18 holes is played within a wildlife sanctuary. Golf and nature come together here in impressive fashion. There is no experience quite like it. Cape Kidnappers is a cliffside extravaganza and currently the 16th best golf course in the world. It is easy to get distracted by the views but each hole on this course has its own story and requires attention to detail and shot making. Errant teeshots are usually mandatory mulligans or require teeing up for a second time. Enquire today to start your premium New Zealand golf tour experience. Your golf travel needs are our specialty! Ring us using the number at the top of this page, +64 (0)9 392 4658, email us or use the form below. Thank you for contacting Premium Golf NZ. We will be in touch shortly. In the meantime, find out more about our other tours or read about the Premium Golf NZ Summer Series coming up at the end of the year.